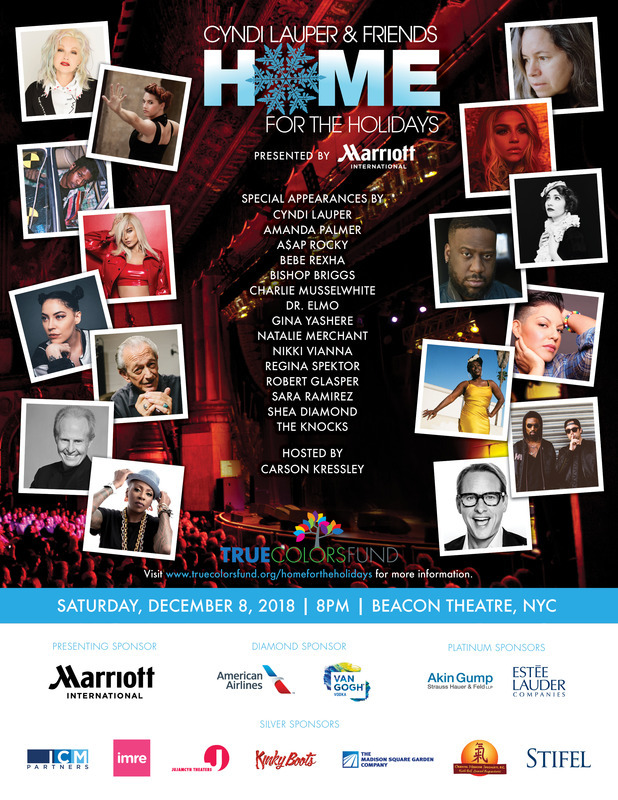 Taking the stage with Cyndi and her band this year will be a host of guests including Amanda Palmer, A$AP Rocky, Bebe Rexha, Bishop Briggs, Charlie Musselwhite, Dr. Elmo, Gina Yashere, Natalie Merchant, Regina Spektor, Robert Glasper, Sara Ramirez, Shea Diamond, and The Knocks. The evening will be hosted by Carson Kressley. ● Releasing the first-ever State Index on Youth Homelessness in partnership with the National Law Center on Homelessness and Poverty. The State Index assigns all 50 states and the District of Columbia a score of up to 100 and provides concrete steps that states can take to protect the safety, development, health, and dignity of youth experiencing homelessness. ● Helping secure $167.5 million in new annual funding from Congress for the Federal Government to invest in 46 communities across the country. This money is part of the game-changing Youth Homelessness Demonstration Project – an initiative designed to reduce the number of youth experiencing homelessness in the United States. ● Training over 1700 staff members during the past year from youth homelessness service providers across the country on LGBTQ inclusion and sent its free True Inclusion Toolboxes to over 500 service providers across the U.S.
● Hosting the fourth annual #TrueColorsDay, a national day to raise awareness about LGBTQ youth homelessness, which has reached hundreds of millions online in the past four years. ● Holding the fifth annual Impact Summit, the only national annual gathering focused on innovative solutions to end LGBTQ youth homelessness in America. Co-founded by Cyndi Lauper, the True Colors Fundworks nationally to end homelessness among lesbian, gay, bisexual, transgender, queer, and questioning youth. Through a broad continuum of training & education, youth collaboration, and advocacy programs, the True Colors Fund is creating a world where all young people can be their true selves.